I glance down the alleyway to see seven or eight pirates striding towards me then hurry across the street where I am surrounded by Storm Troopers, aliens and zombies. But don’t worry ya’ll, I’m at DragonCon: one of the world’s largest science fiction & fantasy conventions. Over Labor Day weekend, the Con celebrated its 26th anniversary in Atlanta with a crowd of more than 50,000 folks. From the Saturday morning parade where thousands of costumed fans strut their stuff down Peachtree, to the jam-packed panel of Star Trek Next Generation actors, DragonCon is a feast for the senses. Costumes range from the insane to the sublime. There are myriad Batmen, Wonder Women, Supermen, Box People, Spocks and Jokers. The place is crawling with real-life scientists, writers, artists and even an astronaut who recounts his time aboard the International Space Station. 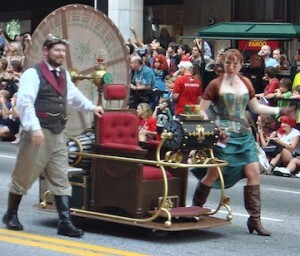 The growing popularity of Steampunk has created a whole new genre, evidenced by Victorian inspired dresses and bustiers, as well as numerous steam-powered vehicles and ornate time machines. Some of the gadgets and props are wondrous. 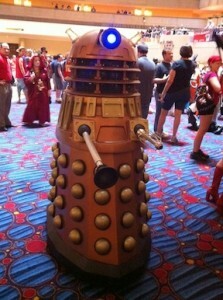 For Doctor Who fans, there’s even a robotic Dalek which threatens to “exterminate” me! aircraft mechanic Kaylee in the popular space western “Firefly,” and the blockbuster movie Serenity based on the series. 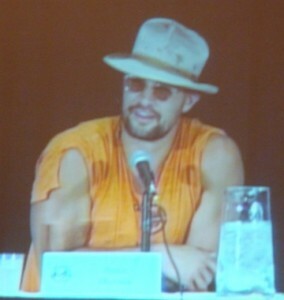 Jason Momoa, most recently seen as primitive horse-lord Khal Drogo in the HBO series “Game of Thrones,” showed up in a torn orange t-shirt. Well, what remained of a t-shirt. The shredded garment exposed his ripped body and had adoring fans swooning. 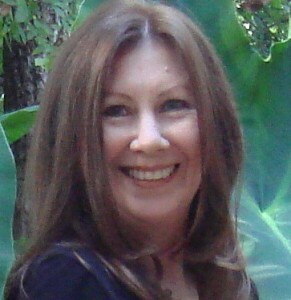 Honey, I was wishing that women still carried smelling salts! During his Q&A session he savored a “local beer,” which looked suspiciously like Sweetwater’s Blue. Y’all can see more photos of crazy costumes here. Although sci-fi fans travel to the annual con to escape into another world, they also seem to appreciate our southern hospitality. While standing in line, shopping or eating, I heard people remark on the friendliness of Atlantans. On Labor Day, we said goodbye to our costumed companions then headed back to our work-a-day world as teachers, bankers, dental assistants, students, techies, and PR professionals to dream about the adventures we’ll have at next year’s DragonCon.